ICUEE Success - Sauber Mfg. Co. 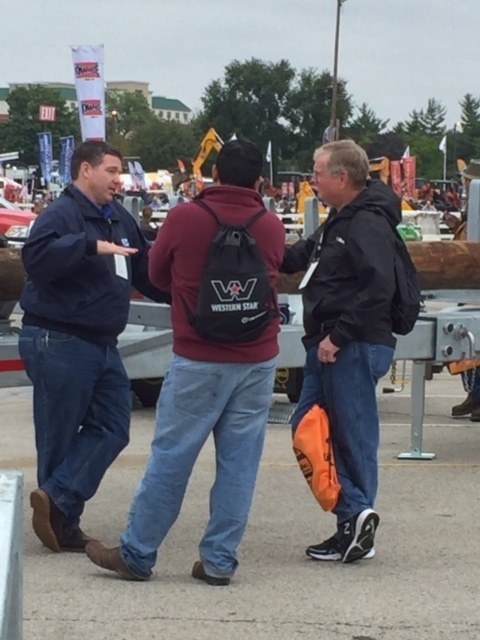 The 2015 ICUEE show was a bit damp, but serious buyers proved they were willing to get wet in order to qualify needs and understand the quality and benefits that our equipment offers. We spent 3 very productive days meeting with clients and presenting solutions to the current needs that are in the field today. Our Model 1570 Puller garnered a good amount of attention from Investor-owned utilities and REC’s alike. By far the largest display of electric distribution equipment, gas, and flatbed units at the show, our equipment stood out because of the standard galvanized finishes as well as the compelling line-up of soup-to-nuts solutions. Equipment ranged from Substation Units, Reel and Pole Carrying Trailers, Flatbed Trailers, Puller, and Crane and Outrigger Pads. If you missed us at the show, call your sales rep today for a visit or a demo at your location.